Windrush was the ship that brought the first large group of immigrants from the Caribbean and famously began the post-war immigration boom that was to radically change British society. The production begins in Jamaica showing the response to the newspaper adverts for SS Empire Windrush. Busy and excited scenes are juxtaposed with personal stories – family farewells and people left behind. The immigrants were invited by the UK government, but were not always welcomed and the production will capture the daily exclusion and racism the newcomers faced. Phoenix Dance Theatre create unforgettable characters that take the audience from Jamaica to the UK celebrating how the Windrush generation began to create their own opportunities, setting up churches, introducing their own music and dance and establishing a ‘black British culture’. Carlos J Martinez in Windrush: Movement of the People. Photographer: Brian Slater. Artistic Director of Phoenix Dance, and choreographer of Windrush, Sharon Watson said: “I want to capture both the excitement and the upset of this significant event. Windrush highlights both the struggles and the good times the Jamaican community experienced during those early years. From 1948 to the present day; from Calypso to R&B via Blues, Ska and Reggae, composer Christella Listras supports the story with an original soundtrack to the lives of the Caribbean British people and wider black British communities. 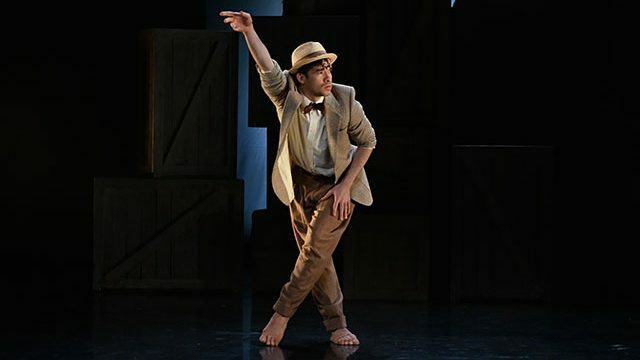 The production fuses music and dance to create an inspiring production that uses a multi-cultural cast to tell an international story, and celebrates a culture that is now part of the country’s fabric. Windrush: Movement of the People is at York Theatre Royal on 1st and 2nd November 2018. Book online at yorktheatreroyal.co.uk or call the box office on 01904 623 568.